One of the most common household pests around the world is the mouse. Mice are cute, especially when you see them running inside their cages, however they can be your worst enemy when they begin invading your home. As pests, they can be a pain to deal with and their ability to spread diseases, germs and filth are very annoying and dangerous. They also tend to chew papers, clothes, and cardboards, leaving your personal belongings in a miserable state. Mice can go without being noticed at all until they cause considerable damage. This is due to the fact that they are nocturnal creatures and will often stay in undisturbed areas like shoeboxes and storage crates. There are several ways that you can determine if there’s a mouse infestation in your home. Droppings: this is a sure-fire sign that there is indeed a mouse infestation in your house. Once you see these black pellets of about 3-6mm long, then it’s clear that a mouse has pooed on that spot. These droppings can usually be seen under sinks, inside pantries, on cardboard tops or on top of wall beams. Nests: house mice prefer to build their nests in dark, undisturbed places. They specifically build their nests from materials like shredded paper products, cotton, fabrics that are soft. You can usually find their nests within wall cavities, suspended ceilings, under floorboards, behind the refrigerator, under stoves, and in lofts. Gnaw marks: This is one of the most annoying behaviours of mice. They can cause serious property damage by chewing on almost anything they can lay their mouths on, especially paper, lead and plastic materials. Always check for gnaw marks around the house as this is a strong indication of an active mice infestation. 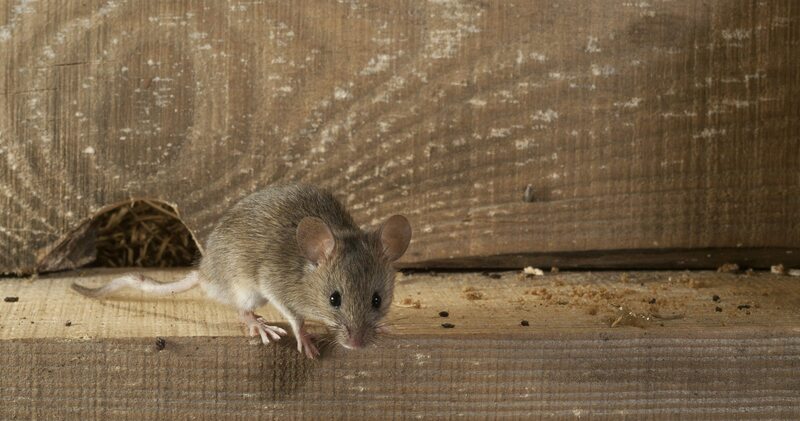 Markings or grease marks: Mice are filthy creatures, and because of this, they often leave behind grease marks against walls and floors while scurrying around looking for food and water. These rub marks are often caused by the mouse’s oily fur. Scratching and strange noises: You can hear these types of noise at night, but fear not! This is not caused by a ghost or other supernatural being, this is caused by active mice, which are nocturnal in nature. You can usually hear these noises between partition walls, under floorboards and basements. Once you hear these noises every night, then you know you have these not-so-nice little creatures gnawing something or looking around for food and water. Spotting a live or dead mouse: when you see a dead or live mouse, especially during the day, it indicates a heavy sign of infestation. This is typically caused by overpopulation, which forces them to go out even during daytime to look for food. If that’s the case, better call your local pest control immediately.